PEOPLE FIRST NOVA SCOTIA | Nothing About Us Without Us! The report of the Minister’s Panel on Education calls for segregated, self-contained (or “congregated”) settings that could take children with a wide variety of disability labels out of our classrooms, our schools, and our communities. We believe that the education of children who are diverse learners is too complex an issue to be addressed by just a few recommendations. We are particularly concerned by the suggestion of segregation. Excluding children who are not ‘typical’ from their classrooms would set our education system and our communities back some 20 or 30 years and would be in contradiction to Section 15 of the Canadian Charter of Rights and Freedoms and Article 24 of the UN Convention on the Rights of Persons with Disabilities. An independent report into the ways that our education system can work for all – conducted by experts in education for diverse learners, constitutional law, and disability issues, and including input from the Human Rights Commission, the Special Educational Programs and Services Committee, First Nations communities, the African Canadian community, Disability Community, disabled learners and parent voice, – is crucial before any further steps are taken. 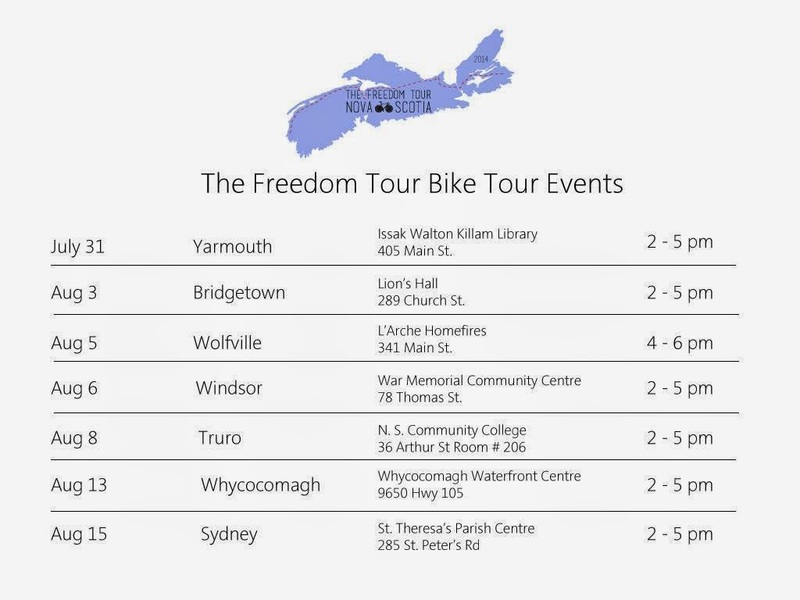 FREEDOM TOUR PRESENTATIONS ACROSS THE PROVINCE! ALL WELCOME -Donations greatly accepted! The members of People First Nova Scotia organized a committee to produce a movie that tells what institutional thinking has done to people and how it is still happening in Nova Scotia. 25th Anniversary Celebration and Fundraiser! Founding members, Charlie Lemon and Donnie Schofield, invite everyone to remember and celebrate the 25th anniversary of People First Nova Scotia.